Admin | 2011-10-18T00:09:57+00:00 @ 000957 | No Comments on Greetings and Salutations! Yup, we’ve noticed a huge uptick in people coming to the site, so I’m feeling real good about that; last week we happily cruised by our thousandth first-time visitor coming to see the site, so we hope you like what you see and that you’ll stick around for all the mayhem and merriment. One shout-out that I feel I must give is to everyone watching from Virginia Commonwealth University, where thanks to the word getting out from a certain individual who shall not be named for fear that we’ll just embarrass her on the global stage (we wouldn’t do that, would we, Al? ^_^), we seem to be massing an unofficial fan club down there. Just for that, we may have to make a special trip down to the VA Comicon in Richmond next year just to say hi to y’all! Admin | 2011-09-26T18:45:34+00:00 @ 184534 | No Comments on BOOST! Well, we’ve had a jump in population around the pages lately, so if you’re from one of the aggregators who’ve added C&M, welcome! Make yourself at home. We’re glad to have you here, and the action is just getting started. No, really: we’ll be winding up the mission premise within the next few pages, and then you get to see how the gang gets things done…and oh, do they ever. Writing this stuff is just as much a joy as it is talking about it, and Ayne has worked herself to the bone making sure that you guys are getting the best there is. So stick around, grab some popcorn and enjoy – the best is yet to come. Claude & Monet…now on Comic Dish! Admin | 2011-09-23T23:50:27+00:00 @ 235027 | No Comments on Claude & Monet…now on Comic Dish! Well, this is a quick note to let you know that the official Claude & Monet mirror site is now available on Comic Dish, located at claudeandmonet.comicdish.com. 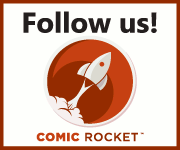 The folks there are a great community of fellow comic artists, comics readers and the like – so swing by there when you get a chance! One minor thing, though: the mirror is two weeks behind the main site, so don’t forget to stop here for your daily dosage of C&M!